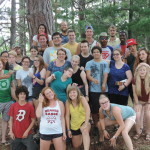 Golden Lake Camp operates because of an incredible group of dedicated volunteers and staff and supporters. 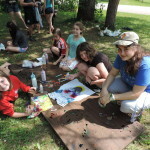 There are many ways that you can get involved in the work of camp! Golden Lake Camp involves the work of many people. We offer opportunities for people of all ages and abilities to get involved in creating memorable and life-changing summer experiences for children and youth. Please feel welcome to get involved. Golden Lake Camp depends on the generosity of our camping community to financially support this work. 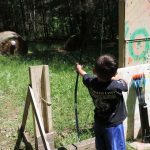 Our goal of providing camp to any child or young person who wants to attend, regardless of ability to pay means we are increasingly dependent on donations to fund this important work. 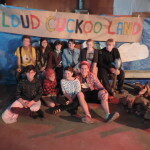 We are committed to welcoming each camper and every donation is gratefully received, and we welcome donations of all amount and materials too. If you have a passion for serving children, youth and God, consider applying to work at Golden Lake Camp. We are looking for about 30 full-time summer staff each summer who are willing to sacrifice and put their needs below those of the campers. It’s a rewarding summer – many would say one you would never forget! Golden Lake Camp has an Alumni Network. It’s a way for campers, parents and staff from the past to stay connected and support the camp. This is a way for those who have been blessed by this work to give back and continue to contribute.